Artie (Kevin McHale) and Finn (Cory Monteith) have to decide: football or glee club? All photos ©FOX2010. Not for sale or duplication. Set stills by Adam Rose. Glee Club director Will Schuester (Matthew Morrison) challenges the glee club. 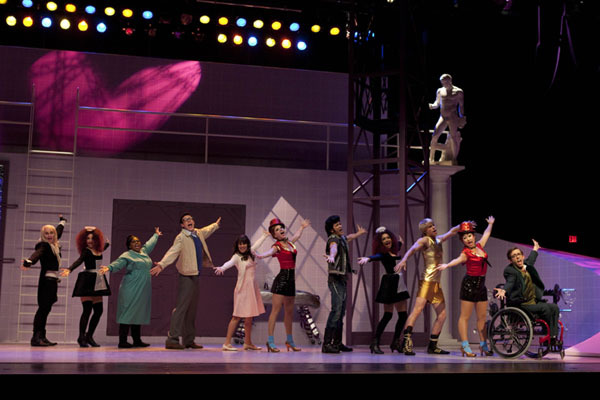 The Rocky Horror Glee Show! The glee club transports the quirky cult hit to Lima, Ohio! Cheerleading coach Sue Sylvester (Jane Lynch) recruits Kurt (Chris Colfer). 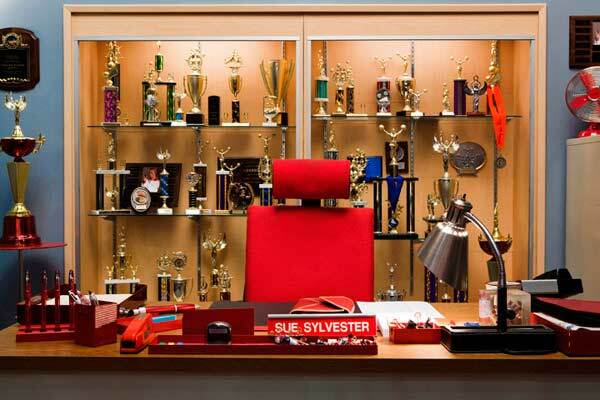 Cheerleading coach Sue Sylvester’s office. Glee Club director Will Schuester (Matthew Morrison) and his ex-wife Terri (Jessalyn Gilsig) in their dining room sans the divorce. The breakout hit TV show GLEE—whose characters often break out in song and dance—requires sets that accommodate not only character & plot, but also choreography! Whether it's the dramatic undertones of teenagers trying to establish their identities, or the home-life and high school of Middle America, Set Decorator Barbara Munch SDSA, Production Designer Mark Hutman and their teams add an artful aspect without diminishing the core connection. Munch, whose film work includes RENT and MILK , focuses on making the sets believable, and then, as she says, "You want to bump it up a notch." The mall-addicted wife of Glee Club director Will Schuester [Matthew Morrison] fills their Lima, Ohio apartment with furnishings and accessories. The extra notch: many of her purchases are from Pottery Barn. The set is noticeably emptier when they divorce later in the series, but not totally bare, because his life was empty when she was there. The artwork and earthy palette that remain provide a reflection of Will's character. 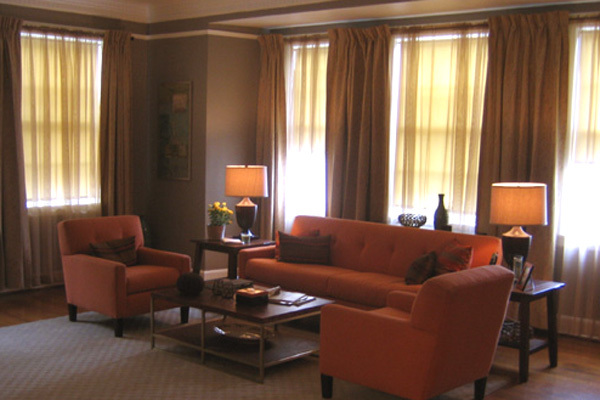 The extra notch: a soft-hued contemporary sofa and club chairs Munch had custom-made by Omega Cinema Props. Schuester's nemesis, Sue Sylvester [Jane Lynch], the aggressive and manipulative head coach of the McKinley High cheerleading squad, has her own office. The extra notch: a full wall of gold trophies and, "Red!" notes Munch. "Red, red, red. It's not only the school's color, it's her color. Red is in her temper, it sets off her sharp tone. Everything in there is red or white…except for the gold trophies!" 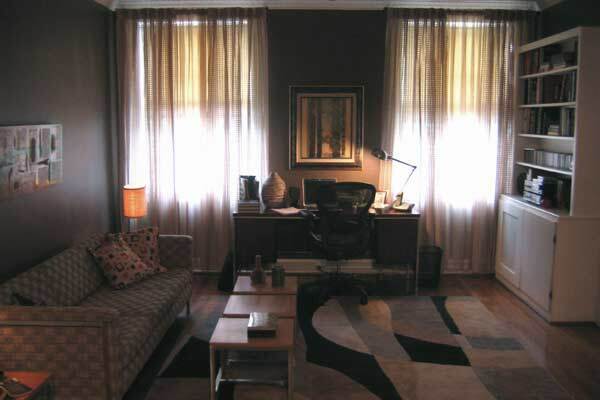 Glee Club diva Rachel Berry [Lea Michele] has a teenage girl's dream room. "We created it in candy-land colors," Munch says. "They [Creator/Director Ryan Murphy and other producers] were thinking it should be bright & bubbly, which I think it is, and slightly gaudy, which it definitely is! She mentions her two gay dads all the time throughout the show. We tried to make it look like they would have spoiled her and had taken her to the theater often, thus all the posters and theatrical ephemera." In contrast, her boyfriend, McKinley star quarterback and Glee Club member Finn Hudson [Cory Monteith] is…"Very guy. There's a lot of plaid in there," says Munch referring to his bedroom. Her favorite set is Kurt's Bedroom. 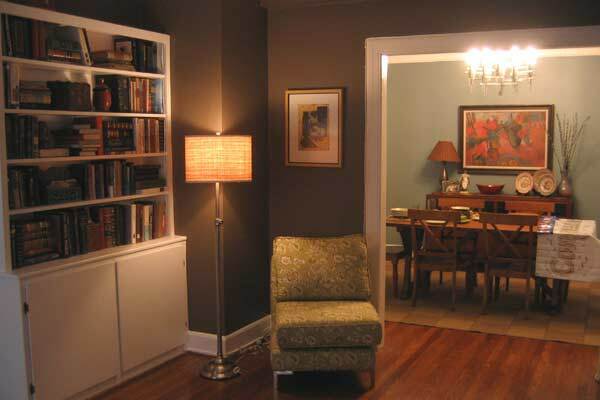 "It's actually sort of a basement apartment, all white on white," she describes. Kurt Hummel [Chris Colfer] is an openly gay teen dealing with not only the throes of adolescence, including high school bullies and self-questioning, but also the inherent loneliness of being gay in a small town in the middle of America. His devotion to fashion and willingness to embrace his artistry are reflected throughout his room. The GLEE sets fill three soundstages. There are 14 permanent sets, including a full auditorium, stage and proscenium built for the show. Hutman also designed the teachers' lounge with elevated glass walls that offer a view of the quad, enabling Munch and team to show the changes of season and a variety of activities. There's the requisite cafeteria and a library, an L-shaped hallway, with several rooms leading off: two permanent classrooms that are changed out per episode, the principal's office and, essential for this show, the choir room. The locker room, complete with working showers, is an example of the considerations made for choreography. Munch explains, "Everything can move around, all the benches, all the lockers…it can all disappear. You will get a hint of them in the background when they do a dance number, but the rest will temporarily be somewhere else." She points out, "We have 25-30% less furniture than most shows, because of the amount of space required for the choreography. For example, there has to be enough room in the cafeteria for them to throw food at each other. We don't do that much on location, and if we do, it's a big dance number—some place with a lot of space, another auditorium or a football field." Which still translates into set decoration – Munch had multiple football blocking-sleds built with wheels for the girls to use in a dance number. Specialty items are often made for particular numbers, as are the set pieces for the Glee Club's performances. Munch says, "The stage sets are fairly simple, but it's a lot of drapery selections and a lot of things that they can dance on or with." Known for her film work, GLEE is Munch's first foray into television, albeit a unique series. When asked to compare, she notes, ""Television is a faster pace, and we don't get to fill the sets out as much. It is important to always keep in mind that they're singing and dancing on the sets. That's always a must, and I was already aware of that from RENT. 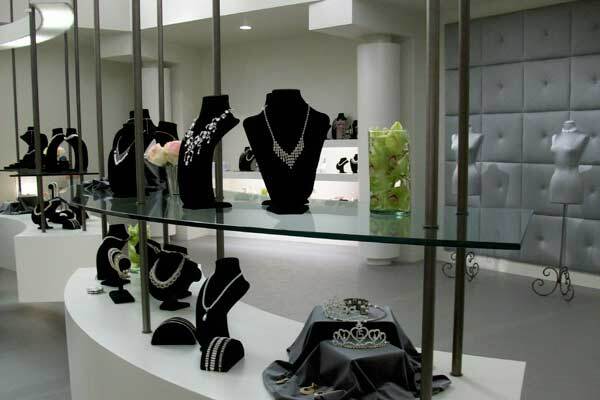 We usually do NOT have the time to reinforce a table that they may dance on, so we have to get something that is already strong enough and make sure that we find things that they can utilize, that will be safe as well as the right look. We've had a cappella numbers in Will's Living Room, Rachel and Finn have danced around her bed and in her room." The show is filmed a few weeks ahead of each episode's air date, usually 8 to 10 days of shooting per episode because of the choreography involved. Munch reveals, "We get a script 3 days before. We then have concept meetings with Ryan, and he's very specific about things he wants to see for that episode. 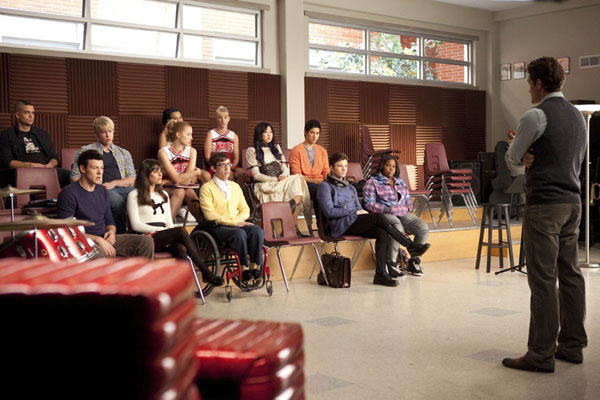 As for the permanent sets, we usually start in the Choir Room, which gives us a little leeway." "I have two buyers, because we are so precise in what we need. We're a well-oiled machine, and it's been that way from the beginning. Leighanne Haddock knows all of the sets that keep recurring, and Libby Morris and I forge ahead on the new ones, and then we all jump in. Leighanne is the ordering queen—she remembers everything from each set, re-orders it all and it's perfect. When we need a lot of something she knows where to go. Lead Mark Sakamoto and our crew of 5 set dressers keep up the pace. No matter what last minute changes are required—and of course there are a lot of those—somehow, it always comes together, and we all enjoy making it happen."